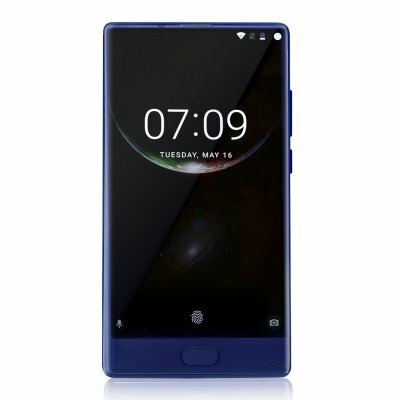 Successfully Added DOOGEE MIX 5.5 Inch 6+64 GB Smart Phone-Coral Blue to your Shopping Cart. 16.0+8.0MP dual camera, doubled image quality, can create a sense of depth to your photos. Full display smart phone, we pursue the amazing visual performance for eyes. ISOCELL technology helps in letting more lights, and makes night photography also sharp and clear. Long battery life comes from the power-saving combination of Samsung Super AMOLED display and Helio P25. 16.0 + 8.0MP dual camera , doubled image quality. The 16.0 megapixel RGB camera is used to capture high-quality photo information, a 8.0MP assistant camera can create a sense of depth to your photos. Doogee Ul is the smallest and fastest smartphone customized operating system for now. It gets faster in every moves of operation, and gets beautiful for every interfaces, every icons. When screen gets bigger, its easier to break into pieces. DOOGEE MIX will not. Credits goes to the Corning Gorilla Glass 5 used in TP and back.